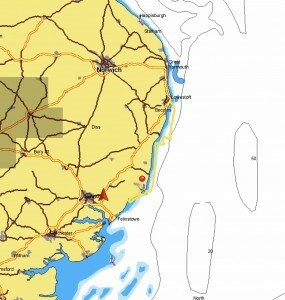 My home port but we still have to sail south to the entrance of the river. 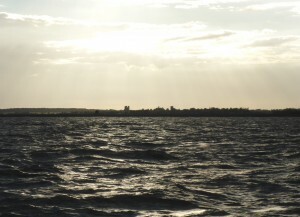 The castle and church silhouetted against the setting sun ..
We had a beat back to Orford from Lowestoft and it was slightly harder work that I thought it would be. 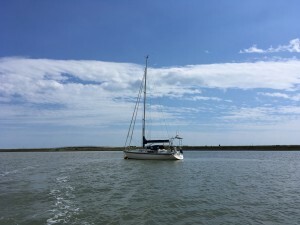 Nonetheless we sailed to Orford Ness and then as the wind finally died and with the light fading we motored the last two and half miles to Orford Haven. 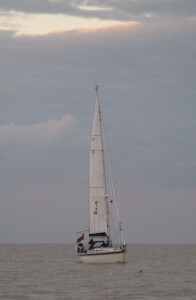 ‘Talisker 1’ approaching the River Ore. Picture taken by Doc. Doc and ‘Tuesday’ had very thoughtfully come down river to the entrance to meet us and then led the way in to the river. This was extremely generous and kind. A welcoming text message arrived from James Robinson and then Migs and Jonny. 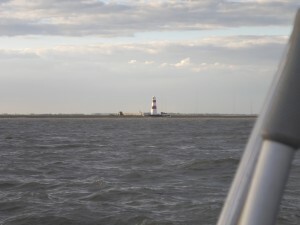 Off Orford Ness I received a nice email from Chris and Caroline Gill. ‘Tuesday’ & Doc leading us in to the river .. 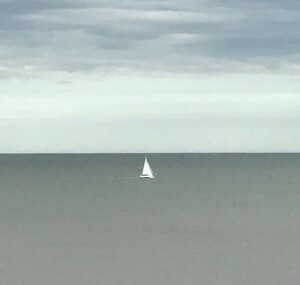 Earlier in the day brother Henry and Molly had stood on Dunwich cliffs to see us sail by. 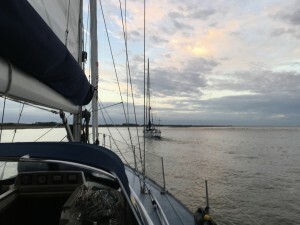 ‘Talisker 1’ heading south. 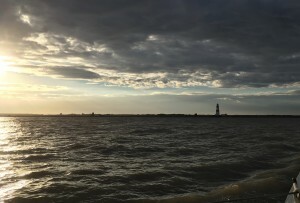 Brother Henry took this picture from Dunwich Cliffs. 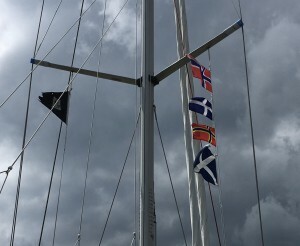 It was lovely to be home and we picked up our mooring in the dark. Doc followed us back and came on board for some supper and a chat. 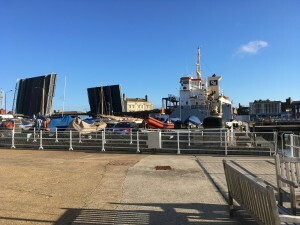 Philip, our harbour master, collected me on Saturday late morning and an hour later Sally arrived on the quay to pick me up and take me home. 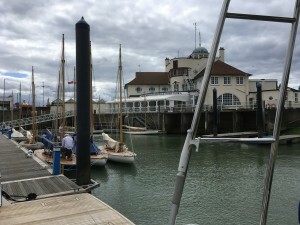 ‘Talisker 1’ home on her mooring ..
Philip Attwood. 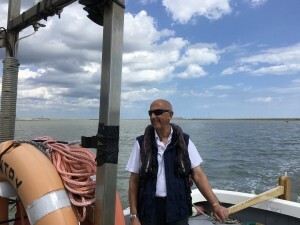 Orford Harbour Master. I’m so glad Henry told me to turn east when I was leaving Shetland. Without knowing why he saved my summer and helped my recovery as a sailor.